Does your child have multiple sclerosis? If yes, we understand that it is probably not easy for your child to go about daily life. Multiple sclerosis is a serious disease that has intense side effects. MS is hard enough on an adult, let alone a child. Sometimes it’s difficult for children with multiple sclerosis to feel carefree. Has your child with MS experienced anything like this? Kids with MS can make summer memories. Most adults attended summer camp as children. For some people, thoughts of summer camp are the most precious memories from childhood. Parents who have a child with multiple sclerosis may want their child to make the same wonderful memories, but fear a positive summer camp experience is not possible. 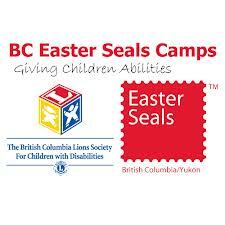 These parents may want to consider an Easter Seals summer camp for their child who has multiple sclerosis. MS Summer Camp Offers Kids the Opportunity to simply be kids. Find out more about the MS Summer Camp by visiting http://mssociety.ca/en/help/camp.htm and watching a short video. Visit that same link to complete the MS Summer Camp application. Note: These testimonials were found at http://mssociety.ca/en/help/camp.htm. They do not belong to the NBA. Share your thoughts with us by commenting on this NBA blog post today! The National Benefit Authority is Canada’s leading service provider of the Disability Tax Credit, a disability program that offers financial support to people with medical conditions, including multiple sclerosis. We’ve helped over 40,000 Canadians successfully receive their Canadian disability benefits!